Like most people I am a real fan of Kitchen Aid small kitchen appliances – mixers, blenders and multicookers. What I didn’t realise, until I was invited along to the Kitchen Aid store on Wigmore Street was that they also make large kitchen appliances (hobs, ovens, fridges, dishwashers and more) and that they also have a rather stunning range of utensils. I don’t need a new kitchen…so I guess I am quite safe to go along for a cookery class surrounded by such temptation. And, I’m very pleased I accepted the invitation to attend the new Kitchen Aid cookery school. 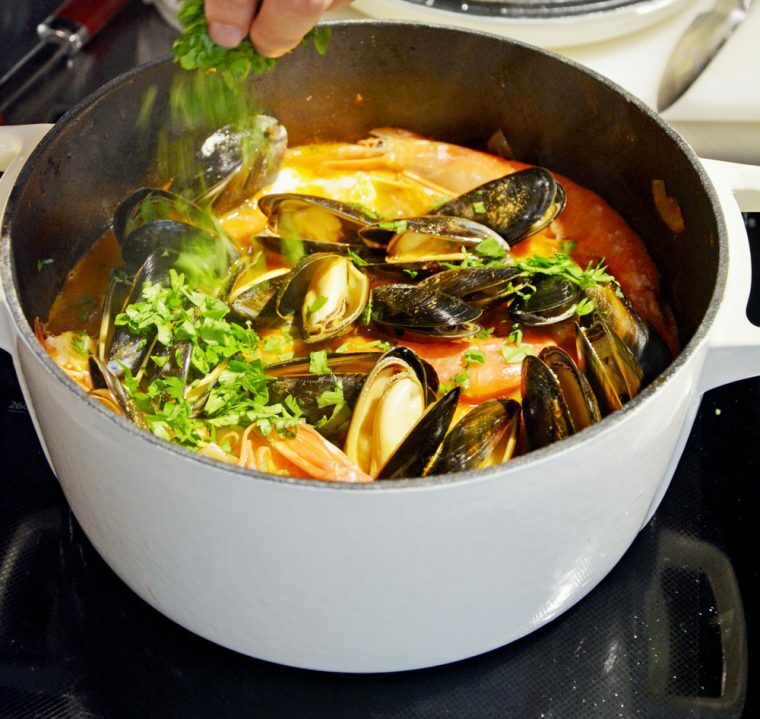 My class, led by Emma and part of an introductory series, was a lesson in how to make a simple Mediterranean style Bouillabaisse. 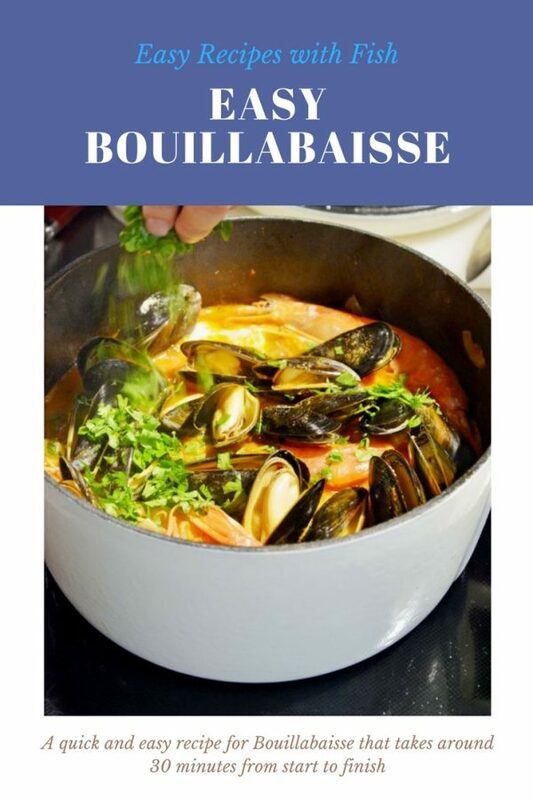 While I’ve seen recipes which are more complicated, the Bouillabaisse we learnt to cook took around half an hour from start to finish and, in addition to having enough to eat a substantial lunch, I had three more portions to take home. Heat the oil in a large saute pan, add the onion and cook over a medium heat for 5 minutes, stirring occasionally until the onions are soft but not brown. Add the fennel, garlic and pepper and fry gently for another 3-4 minutes. Stir in the paprika, sffron mixture, vinegar, wine, stock, diced tomatoes and tomato puree and then the sliced potatoes. 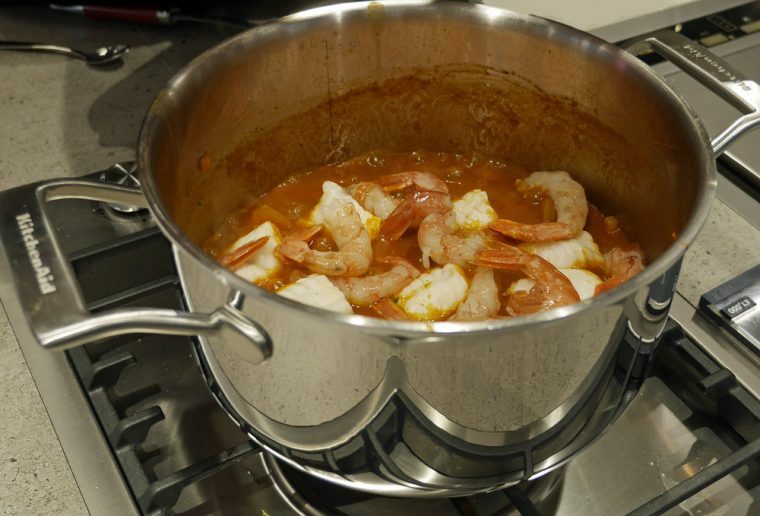 Bring to the boil and simmer gently for 20 minutes or so until the potatoes are cooked and the sauce has thickened. Season carefully with salt and pepper. 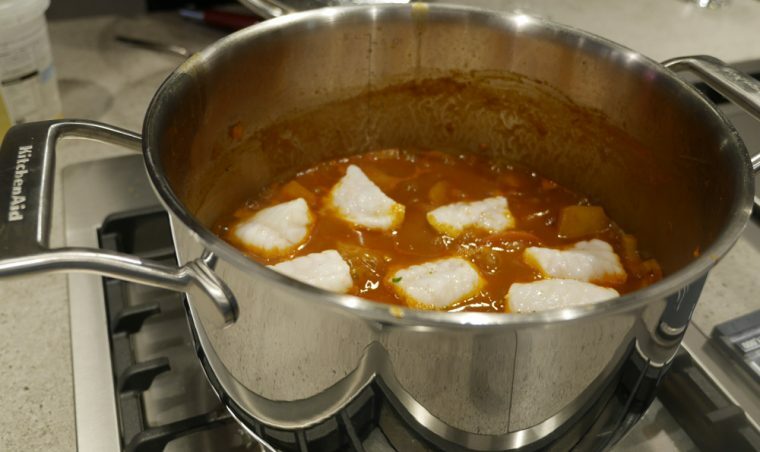 Place the monkfish on top of the sauce, cover and continue to cook for about 3 minutes. Check the seasoning then sprinkle over the fresh parsley to serve. Perfect with toasted crusty bread. I suspect part of the reason the recipe worked so well was that instead of adding in all the fish together, it was layered on top of the sauce so that nothing was overcooked. I also liked the use of fennel, which added a lovely anise note to the dish. 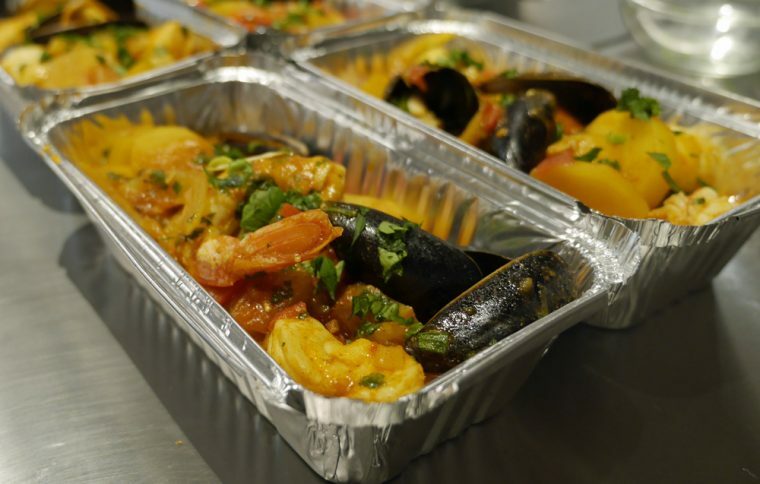 The success of the event was perhaps partly down to a very small class size – just six of us – and partly down to having some fabulous kitchen equipment to play with. 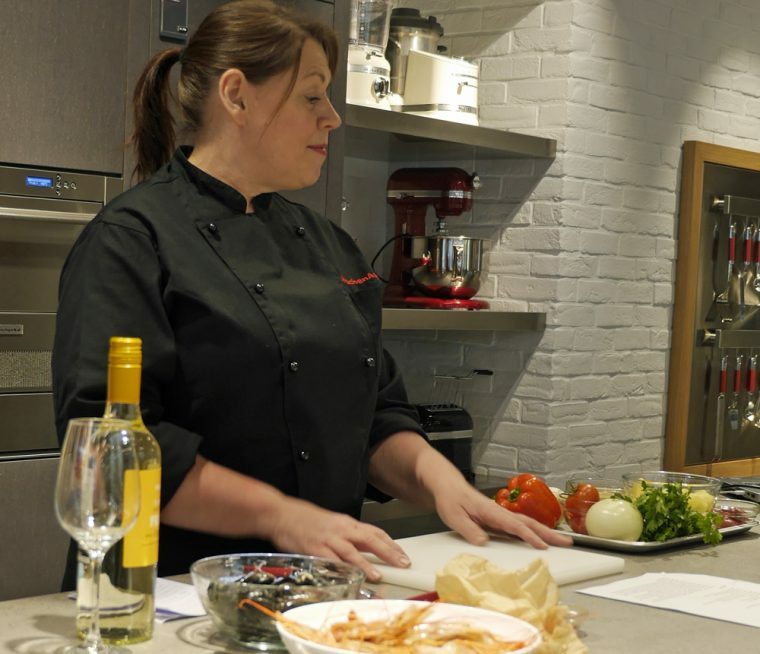 I’ve checked and Kitchen Aid is offering a new range of courses for 2017 which look to be slightly longer but are still limited to classes of 6 maximum and held in the Kitchen Aid London Experience Store. Definitely worth visiting if you want to improve your cookery skills. Take care though, if you are in the market for a new kitchen you might just find it hard to resist!